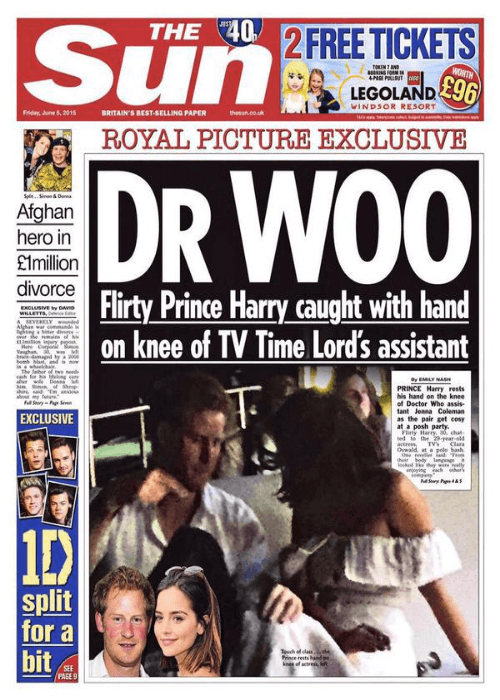 This photo of Prince Harry enjoying a night out with actress Jenna Coleman appeared on the front of The Sun newspaper. We were then able to sell the photo to a host of magazines and international publications to make the photographer more money. Do you have a photo or video of a royal to sell. If so, call us on 07770965756 or fill out the contact form.